The US Army is planning to equip its soldiers with an AI helper. A mind-reading, behavior-predicting AI helper that should make operational teams run more smoothly. The Army hopes that giving AI the ability to interpret the brain activity of soldiers will help it better respond to and support their activity in battle. We’re all painfully familiar with the autocomplete features in our smartphones or on the Google page — but what if we could autocomplete our soldiers’ thoughts? That’s what the US Army hopes to achieve. Towards that end, researchers at the Army Research Laboratory (ARL), the Army’s corporate research laboratory, have been collaborating with members from the University of Buffalo. A new study published as part of this collaboration looks at how soldiers’ brain activity can be monitored during specific tasks to allow better AI-integration with the team’s activities. “In military operations, Soldiers perform multiple tasks at once. They’re analyzing information from multiple sources, navigating environments while simultaneously assessing threats, sharing situational awareness, and communicating with a distributed team. 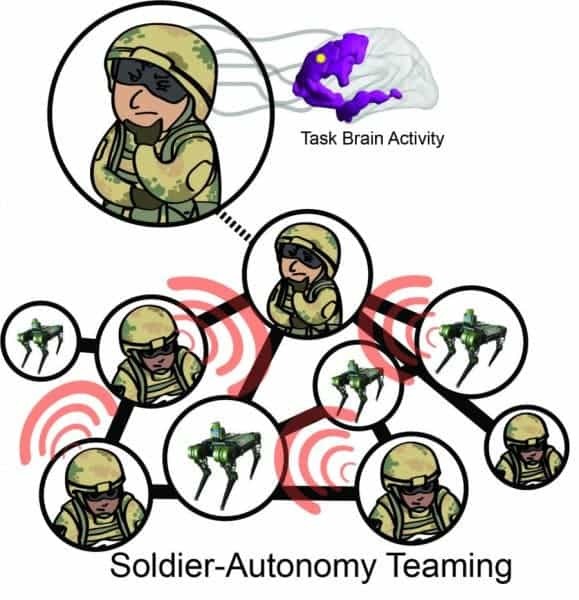 This requires Soldiers to constantly switch among these tasks, which means that the brain is also rapidly shifting among the different brain regions needed for these different tasks,” said Dr. Jean Vettel, a senior neuroscientist at the Combat Capabilities Development Command at the ARL and co-author of this current paper. The Army envisions the battlefield of the future as a mesh between human soldiers and autonomous systems. One big part of such an approach’s success rests on these systems being able to intuit what each trooper is thinking, feeling, and planning on doing. As part of the ARL-University of Buffalo collaboration, the present study looks at the architecture of the human brain, its functionality, and how to dynamically coordinate or predict behaviors based on these two. Currently, the researchers have focused on a single person, the purpose is to apply such systems” for a teaming environment, both for teams with Soldiers as well as teams with Autonomy” said Vettel. The first step was to understand how the brain coordinates its various regions when executing a task. The team mapped how key regions connect to the rest of the brain (via bundles of white matter) in 30 people. Each individual has a specific connectivity pattern between brain regions, the team reports. So, they then used computer models to see whether activity levels can be used to predict behavior. Each participant’s ‘brain map’ was converted into a computational model whose functioning was simulated by a computer. What the team wanted to see was what would happen when a single region of a person’s brain was stimulated. A mathematical framework, that the team themselves developed, was used to measure how brain activity became synchronized across various cognitive systems in the simulations. Bansal says that this study looks into the foundational, very basic principles of brain coordination. However, with enough work and refinement, we may reach a point where these fundamentals can be extended outside of the brain — to create dynamic soldier-AI teams, for example. “While the work has been deployed on individual brains of a finite brain structure, it would be very interesting to see if coordination of Soldiers and autonomous systems may also be described with this method, too,” Dr. Javier Garcia, ARL neuroscientist and study co-author points out. Do I think this is a good thing? Both yes and no. I think it’s a cool idea. But, if I’ve learned anything during my years as a massive Sci-fi geek it’s that AI should not be weaponized. Using such systems to glue combat teams closer together and helping them operate more efficiently isn’t weaponizing them per se — but it’s uncomfortably close. 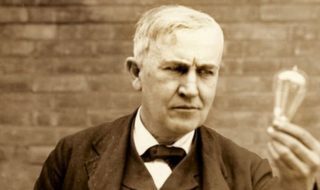 Time will tell what such systems will be used for, if we develop them at all. Hopefully, it will be for something peaceful. The paper “Cognitive chimera states in human brain networks” has been published in the journal Science Advances.